Will you work while retired? That is the question many retirees ask themselves. Particularly if they are short of cash for some of the things they would like to do in retirement. A study published last month by Bankers Life Center for a Secure Retirement – “New Expectations, New Rewards: Work in Retirement for Middle-Income Boomers” — found that 72% of retired baby boomers currently aren’t working for pay in retirement. However, almost half of those retirees (48%) said they would like to work — but can’t. Of those, 35% said their health won’t allow them to work. Eight percent said they were unable to find a job. Five percent said they have to care for a loved one. This is the reality for many baby boomers and retirees. 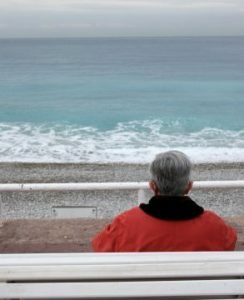 This article is really aimed at the folks who are about to retire. Whether it is a planned retirement date or you are being forced to retire or you need to retire due to health reasons. Now is the time to give some thought about what you will do once retired. Some people will be able to walk into another job pretty quick. While many will struggle for a variety of reasons as mentioned in the survey results. 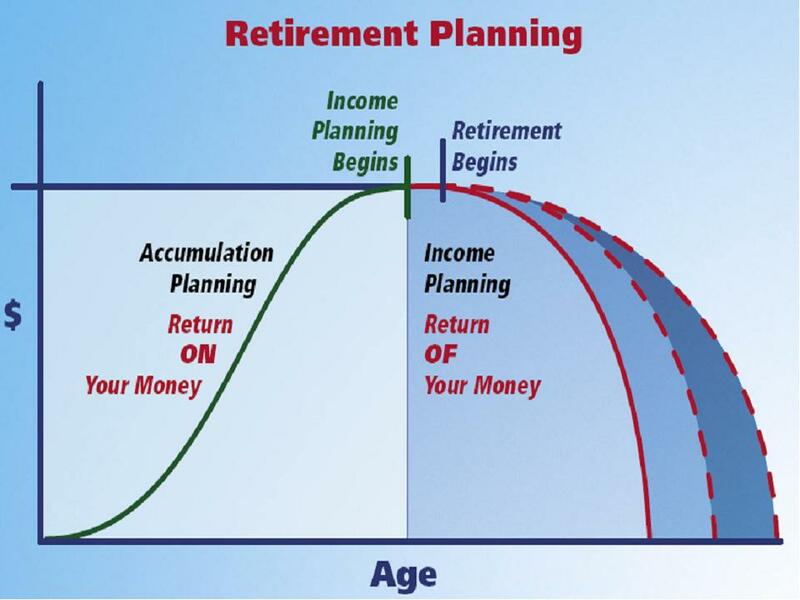 If you do not have a plan before you retire, there is a high probability you will not be working in retirement. Develop a plan now. Will you volunteer which leads to networking opportunities and potential employment? Will you start your own business? Do you have a business plan? Can you prepare for your business now? If you have sufficient income, there may not be as much pressure to work. Boredom will motivate you into looking for work. If income is an issue once you enter retirement, then a plan is definitely needed. The plan needs to take into account how much money you need per year. What kind of job you can find and how many hours a week you need to work at the appropriate income level. Lower incomes means you work longer etc. Part time work is also good for many people. You may have the best of both worlds. Part time work ensures that you still have time to enjoy the family and hobbies. You also have the extra income you need from part time work. And you also have the social side of work which is a big plus for many people once they leave the work force. This entry was posted in Retirement Income and tagged Retirement Transitioning on 2015/12/21 by ernie. 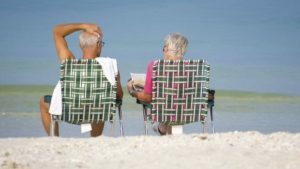 The transition to retirement is the uncharted course that many of us are either already on or will be soon since more and more people will be retiring in the next few years. Retirement means many different things to people all over the world. For some it means leaving one job to start another in a different career, while for others it means never to work again for money, but volunteer and provide support to charities and other organizations. Some people chose to spend a lot of time on the golf course while others will spend a great deal of time with family. There are so many options and people everywhere must figure out what is the right plan for them based on their personal needs and desires and their finances. Do they have the money that they will need to live in the manner they envisaged retirement to be? This the key question for everyone retiring today. How will they Transition to Retirement in a successful and satisfactory manner? Baby Boomers Retiring – There are literally millions of baby boomers that are retiring over the next 20 years. Some will continue working well into their 70’s while some have already retired early. Regardless of when they retire, they are going to shape our economy for many years and investment advisers are lining up to help them to invest and spend their money. The operative word is to be “aware” and to be careful with your investments. This is all that stands between you and poverty or at least a less than satisfactory life style during your retirement years. There are lots of scammers out there that are just waiting to relieve these baby boomers of their money. As we get older there is less chance that we will make good decisions and we will tend to spend more money than we sometimes need to. Rely on family if you can trust them; however in general if it does not feel right, don’t spend the money. Wait, think about it, talk to friends and family whom you trust and then make up your mind as to whether it is a good deal or not. This is the most important element and consideration. You want to have sufficient money to be able to enjoy your retirement in the life style that you had planned and that means having sufficient income to meet your needs. It does not matter whether it is golfing every day, being a snow bird and traveling south every winter, going on trips or just spending time with the family. Everyone defines their level of enjoyment differently and all we are saying here is think about what you want for your retirement and then plan to have sufficient money to enable the life that you would like to have. The earlier you start, the better off you are going to be. You may want to work a little longer or you may want to continue working because you enjoy it so much. Decide what is right for you and then develop a plan that is going to get you there while planning for contingencies, since we never know what is coming our way. Some people retire from their jobs at 50 and never work again. While others just start another career. Some will work well into their 80’s just because they like to so much. Many people will work as long as they can to augment their income to give them a bit better style of living. The bottom line is that you must have enough money and you also have to have something to do. Most people are not satisfied to just sit around and do nothing. We need to have hobbies, we need to volunteer, we need to spend time with the family and we need to feel that we are still contributing to life. Whatever works for you is great; just know that you need to have a plan and activities that will enable you to enjoy your retirement. At the present time, it appears that seniors will be able to depend on receiving some retirement income from their government. There will be changes. Some governments are phasing in later payments, for example moving old age payments from 65 to 67. This means you will have to work 2 years more before you can collect an old age payment. Also these payments are not always going to increase as fast as inflation and although it is nice to receive these payments, consumers must not rely on this income as their sole source of income. Many investment planners will suggest taking out 4% each year, investing conservatively and focus on income generation investments that are well diversified. 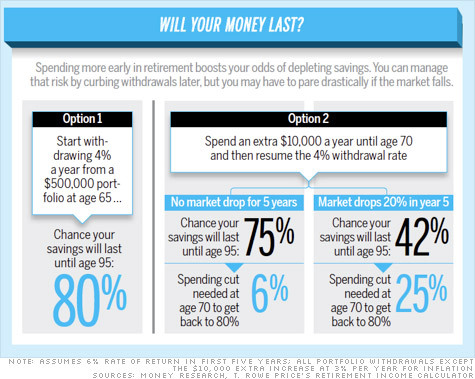 As long as you do not have to withdraw a significant amount of money in a down market, chances are you may be able to have your money last well into your retirement. CPP is the Canada Pension Plan. Many developed countries have something similar to the CPP. It can be taken as early as age 60 and delayed until age 67. If you take the CPP at age 60, there is a 35% penalty on average that is prorated if you delay taking the CPP in later years. There is lots of discussion and disagreement on when you should take the CPP. The break even age seems to be around 74 or 75. This means that if you take the CPP at age 67, you have to live until at least 75 to collect the money that you would have received had you started collecting at age 60 even with a major penalty. It really depends on how long you expect to live and whether you need the money now or can wait. The same applies to other government pensions in other countries, although the calculations will be different based on their local plans. 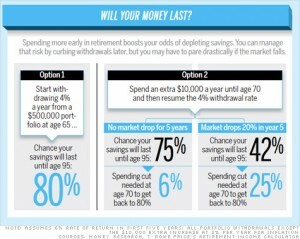 Planning for retirement is a smart thing to do. Planning should definitely include your finances, but also your lifestyle and what you are going to do with your time. Start planning at least 10 years prior to retirement and if you can, transition into retirement by reducing the number of working hours and living on what you think will be your retirement income. This is a great way to get into the mind set of retirement. Another tough question? Work related expenses are going to be less, but then leisure related expenses are going to be much higher at least in the initial years when you have your health to travel, play golf or whatever you plan to do. This question should be part of your financial planning. A financial planner can help you with this question by assessing your income from pensions and investments compared to your leisure plans, living expenses etc. Some people never want to retire. They enjoy what they are doing and the benefits of work too much. They enjoy being around people and they enjoy the challenge of work. Another group must work well past the standard retirement age just to make ends meet. They did not plan for retirement and they did not save for retirement. They might have lost a pension because of layoffs or company bankruptcy. A very tough position to be in for sure. If you finances are in place, if you have enough money to meet your living expenses and to meet your leisure activities, whatever they are, then it may be time to retire, particularly if you are not that excited about your job. This is a very tough decision and many people will retire from one job, make a career change and begin working at something they really enjoy. This is also a form of retirement. There are many checklists that consumers can find on the internet and by talking with your financial adviser. We have some on this website. Not all items will apply to every individual. The important thing is to take these lists and use the items that apply to your situation, your life style and your financial situation. Take the time over a few months to work on these items to begin creating a plan for your retirement. With a plan you will be in a far better situation to deal with retirement and enjoy it much more as well. Should you have debt during retirement? Probably not, if you can avoid it. Most people will pay off their home and all major loans prior to retirement. Their income may be fixed and they have to live on this alone. 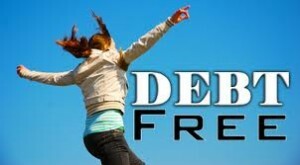 Having a mortgage paid for frees up a great deal of money to utilize for day to day expenses and also for those extra things you always planned on doing while retired. Still there are many seniors with debt from credit cards or small personal loans. It is very important to learn to live on your income at this stage, since working is not an option for most people. Companies develop strategies and contingency plans to help them manage their business and deal with surprise situations that could impact their financial health. Individuals should do the same thing. Plan for health, plan for sickness, plan for some kind of curve ball that could disrupt your retirement. Constantly evaluate and adjust your plans to reflect the situation that you are dealing with and plan for the future. This is just something that makes great common sense to do to ensure that you have options that are workable for you during retirement. the mantra of investing is diversification. Never place all of your investments in one investment, no matter how good it sounds, no matter how good the income is. The risk is just too great that something will happen to cause you a lot of grief and leave you devastated financially. For example, who would have ever thought that GM would declare bankruptcy? Millions of shareholders and investors lost their investments leaving many seniors as well without their life savings. It is bad enough to lose some of your money in this situation, but to lose everything is catastrophic. Having an investment adviser is a good thing. They should be providing you with quality information and helping you make investment decisions. Protect yourself by also doing your own investigation. Talk to other advisers, talk to other investors, research your decisions and the recommendations of the adviser. After all it is your money and you are taking the risk, not the advisor. If it does not make sense, if you do not understand the advice, if you feel uncomfortable, then do not follow their advice. Get another adviser. We believe that all investors and this includes people who are retiring with sizable nest eggs should be making their own decisions after having done their own research and seeking advice from their investment advisers. Sometimes it is wise to have several advisers just to compare investment strategies and recommendations. Bottom line if you do not understand or do not feel comfortable, then trust your instinct and look elsewhere. Once you have invested your money for retirement, never put it away and forget about it. At least once a month, take a look at how your investments are doing, meet with your adviser once every 6 months to review the status and progress towards your objectives. Investigate changes to your investments and make adjustments as needed. Meet with your adviser at least once every 6 months or more often if you have an active investment strategy. Review the income and growth levels of your accounts, update investment strategies, re-balance your account if needed and reassess how you are doing relative to objectives and your retirement plans. This activity will help you to ensure that the money for your retirement will be there when it is needed. Some people are just too lazy or they do not care or they have a false confidence in their adviser that they will do the right thing. We say, stay involved and informed relative to the markets, to your investments and to your trades. Never allow a trade unless you have approved it ahead of time. There are many places across North America to retire. Some are friendlier from a tax perspective and quality of life perspective. Bottom line is that we suggest to readers that they evaluate what is most important to them from a financial perspective and a quality of life perspective and then decide what makes sense to them for their situation. Family, friends, taxes, cost of living and quality of life are the important attributes that many people take into account. Health coverage and health treatment facilities are also high on everyone’s list. We have covered a lot of different topics on this post. You can find out much more on some of other posts that deal with each subject alone. The transition of consumers into retirement is a complex subject and consumers need to spend the time they need to make sure they achieve the equality of life they wish to have in their retirement. Have a truly great, fun filled and rewarding retirement! Make your Transition to Retirement a successful one. This entry was posted in Retirement Planning and tagged Retirement Transitioning on 2012/11/21 by ernie. Most people don’t want to retire to a life of a just hitting a tiny white ball around a well-manicured lawn. They actually want do something after they “retire” from their primary career. Trouble is, most people these days do not have a clue how to go about it. They have no idea what steps to take to figure out what to do next in their lives. I just had a conversation this morning about this very subject with a good friend of mine. He thinks that over the next five years he will either receive a buy out or he will continue to work for at least five years more. The problem is that he is all consumed by work and has no idea of what he will do during retirement. Fortunately for my friend money is not an issue for him, however he is thinking about taking steps to transition into retirement from a financial perspective, however in his case he is missing the main issue. Financially he has decided that he and his wife are going to live on what he expects his retirement income to be. This is a good plan, however the real issue is what is he going to do with his time! According to the experts there are 5 stages that people go through when they are approaching retirement. Some go through these stages quite quickly, especially when they are laid off or receive a bonus package to leave. Others have time to plan and get ready for retirement both mentally and financially. Here are the five steps. Each stage is linked to a specific purpose, as well as tasks, outcomes and questions as you get comfortable with the idea of retirement or transitioning to something different in your life. For some people it is forced on them through a premature lay off or forced retirement. In this case there may be also an angry phase that you must get through. For others it is simply recognizing that it is time to begin planning your transition to the next phase. There is also disconnection from present employers and employees as you begin to separate in your mind from what you are currently doing to the next phase. It is time to figure out what comes next. Sometimes there is tension, ambiguity, apprehension and confusion that is associated with this stage as you try to figure out what it is you would like to do with the rest of your life. Discovering your potential is all about figuring out what your strengths are and what the possibilities might be for your next career or stage in life. It is very personal and different for everyone. Explore what you enjoy, explore what you need to do to be satisfied, explore what you want your relationship with your family should be, including spouse, sons and daughters and grand children. You may also want to evaluate your resources in terms of finances, but also in terms pf physical health and demands by other family members. 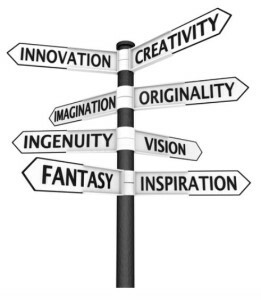 This stage focuses more on testing some of your idea’s and options. If you thought you always wanted to golf every day then try it out and see how that goes. If you thought you always wanted to travel do that. The important thing is to try out or test what you feel is the right option for you and try lots of things until you find something that really works for you. Find out what fits and what works for you over a period of time. Remember this is a transition over time and not a flash change in your life style. Once you have an idea of what it is you want to do, it is time to set goals and objectives to help you meet your plans. What resources are you going to need? What are the next steps and who do you need to talk to for assistance in order to complete your goals. This is the implementation and engagement phase. This is were you actually make it happen. Along the way you may fine tune your activities, your goals etc, Which is fine and you learn more about yourself and your new life. But the main focus of this stage is really turning all of your plans into reality. Knowing that you are in one phase or another can be helpful. Or that you are cycling between phases as you figure out what you are going to do is actually helpful to many people. While there is a lot of ambiguity and confusion, at least you know that this is normal. My friend has barely started through this exercise. He is in phase one. Because he has begun to recognize that he needs to make the transition and begin planning. This is a good first step. However he has a long way to go yet. If he suddenly finds that he is down sized, he may not be ready. He will struggle somewhat for awhile as he is forced to speed up his planning. Your comments are welcome, any advice you can provide to my friend about this subject and retirement in general is much appreciated. This entry was posted in Retirement and tagged Retirement Transitioning on 2011/11/07 by ernie.